From a modest beginning in 2002, IICMR has now grown into a fully integrated Management and Information Technology learning destination. 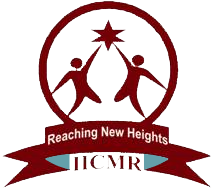 We at IICMR provide a strong "knowledge and Opportunity base"; for Post graduate student to excel in their career path. The IICMR philosophy is guided by Trust, Confidence, Transparency, Honesty, Perfection and Excellence. 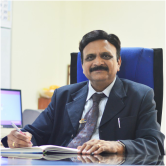 In ways more than one IICMR has refined education through it's continuously improved programs in management. We believe in interactive teaching, professional management and increasing interaction with industry. We offer unique blend of knowledge, Training and Research. IICMR institute through its various development programs gives the students an edge over their counter-parts in enabling them to prepare themselves for a world that has yet to be created, for jobs yet to be invented, and for technologies yet undreamed. "I feel confident that the college is progressing in the right direction to build an academic institution of great social impact. The last year has been full of achievements :"
We have implemented ERP System to enhance teaching, learning and evolution processes. In the end I take this opportunity to welcome you all at IICMR and wish you all the very best in your excellence journey.